A special school committee meeting was held in Newton on Tuesday night, where an alleged anti-Israel and anti-Jewish bias is being taught in the classroom. 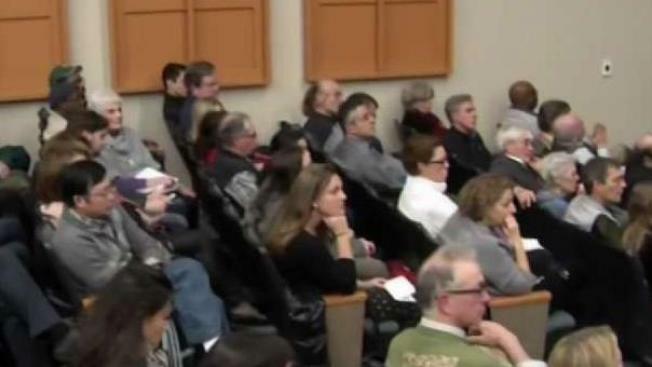 A special town meeting was called on Tuesday night in Newton, where some fear an anti-Israel and anti-Jewish bias is being taught in the school system. 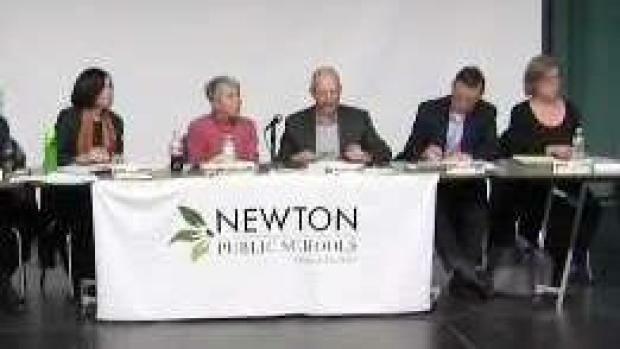 Several teachers in Newton say they've been threatened and harassed by a group of critics which garnered enough signatures to merit a hearing on Tuesday at Newton South High School. Among the demands they want met: access to all teaching materials, as well as some faculty and the superintendent be fired. Teachers say that there's no bias in the classroom, but they do allow critical thinking of all sides of controversial issues. "What's going on in the classroom is what goes on I think in every classroom in the Newton Public Schools, which is that we teach critical thinking," said David Bedar, a history teacher at Newton North High School. "We teach students to develop their own perspective on issues, come to their own conclusions." A special town meeting was held in Newton tonight, as some critics of teachers believes there has been an anti-Israel and anti-Jewish bias being taught in classrooms. One critic isn't buying it. "I would say that if this is what they call critical thinking, open-mindedness and individuals who are allowed to think as they want and listen to two sides of the story, that is a bunch of crap," said Louise Barron. Charles Jacobs, of the group Americans for Peace and Tolerance, is another critic of the teachers. He said he's gotten his information from the curriculum, as well as from freedom of information requests. "We're not a hate group," Jacobs said. "We just want the students to know all sides of the issue and they're not getting a fair and honest education. Hundreds of alumni have signed a petition in support of the faculty. "The Newton North curriculum has not taught us what to think, but how to think critically," said Max Kozlov, an alum of the school. Right now, there's no indication that the school committee will give in to any of the demands the critics are asking for.